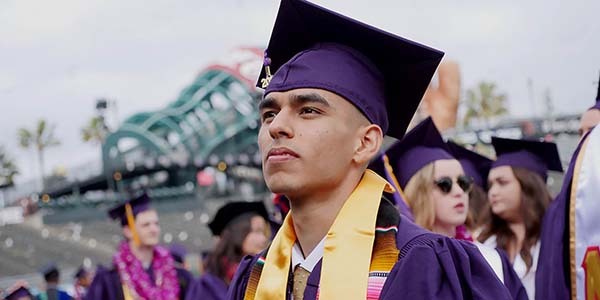 The San Francisco State University School of Nursing aims to motivate and educate undergraduate and graduate nursing students to meet the healthcare needs of individuals, families, and communities. Faculty has a passion for teaching using a rich variety of educational methods. We embrace the diversity of our student population, and are committed to educating nurses who serve diverse populations with a focus on social and environmental justice, and health equality. Furthermore, we incorporate evidence-based nursing knowledge, ethical decision-making, and sound clinical judgment into our educational paradigm. 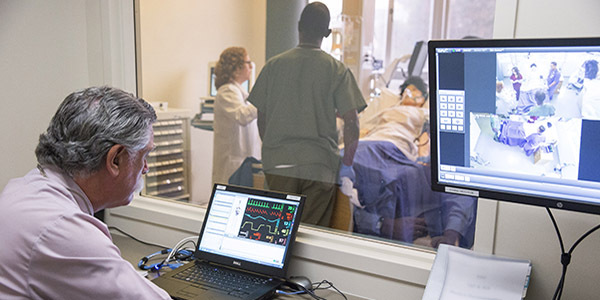 Using various educational modalities that include state-of-the-art information technologies, students learn how to provide safe, quality patient-centered care. Our students are prepared to adapt to changing healthcare needs and environments and to serve society through civic engagement and lifelong learning. Donations to the School of Nursing provide scholarships and emergency funds to students, many of whom work outside of school and support families. Funding also supports faculty, provides cutting-edge equipment and technology, and a high-fidelity simulation learning laboratory. An instructor demonstrates a patient procedure to nursing students in the simulation lab. An instructor monitors the vitals of the simulation mannequin while students practice a procedure. In the past 13 years the Kennett Memorial Scholarships have grown exponentially, largely through Mrs. Kennett’s efforts to honor her husband and personally recruit funders from the community.